As parents, we want to raise independent kids who are able to stand on their own two feet right? These suggestions can help you do just that. The sense of independence can be quite refreshing- there comes a sense of freedom and confidence in one’s abilities, and this goes even more so for children. Growing children needs to be taught different things- behaving kindly, developing humbleness, being compassionate and so much more, but they also need to learn how to be more independent- after all, you aren’t always going to be there around for him all the time right? Our goal at Skill Trek is to help you do just that. 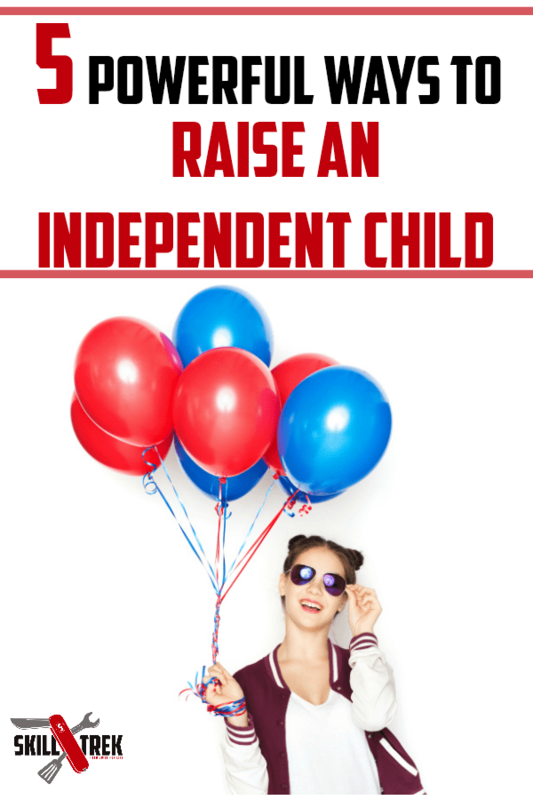 Here are 5 powerful ways in which you can help your child become independent. Authoritative parenting is one of the three parenting techniques, and is known to be the ideal choice. Not only does it strengthen the parent-child bond, but also shapes the child to be more happy, successful, driven, confident and independent. Set certain expectations from your kid (keep them realistic of course), be big on discipline, but also be flexible with him. You’ll be surprised at how much difference your encouragement and unconditional support can make into shaping your child’s personality. There will be certain times when your kid feels low, maybe sad due to something he couldn’t do, or a setback or a failure. During those times, make him feel better about himself. Encourage him for his efforts, even if he fails. Teach him that failures are a part of life, and that it is not possible for anyone to win all the time. One of the biggest lessons you could teach your kid is to never be scared of failures. Encourage your kid to try different things, make mistakes and then eventually learn from them. Push him to get outside his comfort zone and do more of what he feels scared to do. The more he is exposed to different experiences, the less will be his fear of failure, which will, ultimately boost his confidence and help him become more independent. Take the famous quotes ‘Rest if you must, but don’t you quit’ seriously, especially when it comes to your kid. Help your little one understand the art of persistence, and how trying and trying will eventually lead him on the path of success. Doing this will not just motivate him, but also give his confidence the boost he needs, and he’ll be able to trust himself and his actions more. This may sound so wrong, but yes, your kid doesn’t always need you for everything. There are some things your kid needs to learn and do himself, and he’s better off without having you in the background, monitoring his moves and helping him make the right choices. Trying to micromanage and control every aspect of your kid’s life can be terribly wrong in so many ways, and most of all, it can very profoundly affect your child’s independence too. These are just a few ways to encourage independence in children. As parents, we want to raise independent kids who are able to stand on their own two feet right? These suggestions can help you do just that. 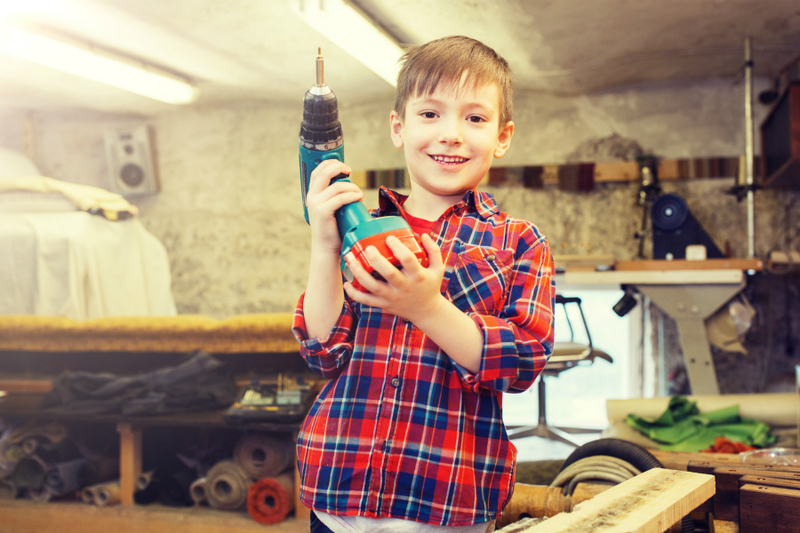 Another great way to raise independent kids is by focusing on life skills. Here at Skill Trekker, we desire to fill in those gaps and help parents teach their children the life skills they need to know to grow up and be healthy, well-prepared adults. Learn more about Skill Trek here.